The Centre for Innovation in Computing at Lassonde is proud to announce the line-up for its inaugural Distinguished Speaker Series. These four individuals have all had major impact on the field of computing in a wide variety of ways and it is certain that their lectures will be of broad and deep interest. Titles, abstracts, dates, locations and times are all given below. The Focus Sessions are open to graduate students, Post-Doctoral Fellows and Research Associates within the Dept. of Electrical Engineering and Computer Science. The idea of a Focus Session is to provide an informal setting where research trainees can interact with our Distinguished Speakers, ask questions and discuss research or career issues as a group or at a one-on-one level. Each Focus Session will be moderated and a simple lunch will be provided for all attendees. Pre-registration is required (for catering purposes) and no walk-ins will be allowed. There is no cost to the attendees. Abstract: Symbiotic Cognitive Systems (SCS) are multi-agent systems comprising both human and software agents that collectively perform cognitive tasks (such as decision-making) better than either can alone. To help realize the SCS vision, and to expose and address the attendant research and engineering challenges, we have built a Cognitive Experience Laboratory equipped with cameras, kinects, wands, microphone arrays, and other devices. Through speech and gesture, one or more individuals interact — much as they would with a human partner — with a society of software agents that perform various functions such as speech recognition, information retrieval, simulation, and decision analysis. Using multi-agent systems design principles to weave these functions together flexibly and coherently, we are creating systems that address the needs of internal and external clients in various application domains involving high-stakes decisions. I will describe a cognitive mergers and acquisitions prototype that we have built, and draw some general lessons and research challenges from our experience of designing and using it. Bio: Jeff Kephart is a research scientist at IBM Research, known for his work on computer virus epidemiology and immune systems, electronic commerce agents, self-managing computing systems, and data center energy management. Presently, he serves as a principal investigator on a cognitive computing research project with Spain’s leading energy company, Repsol. Kephart’s research has been featured in the New York Times, Wired, Scientific American, Forbes, and comparable publications. He has co-authored over 150 papers (which have received over 17,000 citations), and over 35 issued US patents. Kephart has delivered keynotes on multi-agent visions and applications at several conferences and workshops, and led teams that have created commercial products in areas that include anti-virus technology and data center energy management. In 2013, he was awarded the rank of IEEE Fellow for his leadership and research in founding autonomic computing as an academic discipline. Kephart graduated from Princeton University with a BS in electrical engineering (engineering physics) and received his PhD from Stanford University in electrical engineering, with a minor in physics. Abstract: Given a large graph, like who-calls-whom, or who-likes-whom, what behavior is normal and what should be surprising, possibly due to fraudulent activity? How do graphs evolve over time? We focus on these topics: (a) anomaly detection in large static graphs and (b) patterns and anomalies in large time-evolving graphs. For the first, we present a list of static and temporal laws, including advances patterns like ‘eigenspokes’; we show how to use them to spot suspicious activities, in on-line buyer-and-seller settings, in FaceBook, in twitter-like networks. For the second, we show how to handle time-evolving graphs as tensors, how to handle large tensors in map-reduce environments, as well as some discoveries such settings. We conclude with some open research questions for graph mining. Bio: Christos Faloutsos is a Professor at Carnegie Mellon University. He has received the Presidential Young Investigator Award by the National Science Foundation (1989), the Research Contributions Award in ICDM 2006, the SIGKDD Innovations Award (2010), 22 ‘best paper” awards (including 4 ‘test of time” awards), and four teaching awards. Six of his advisees have attracted KDD or SCS dissertation awards. He is an ACM Fellow, he has served as a member of the executive committee of SIGKDD; he has published over 350 refereed articles, 17 book chapters and two monographs. He holds seven patents (and 2 pending), and he has given over 40 tutorials and over 20 invited distinguished lectures. His research interests include large-scale data mining with emphasis on graphs and time sequences; anomaly detection, tensors, and fractals. Abstract: Simulating human activities in an urban setting requires a fundamental understanding of what human behaviors are likely, normal, or anomalous in such an environment. While many CG research groups are producing animated crowds of thousands of people, generally the agents are mostly just pedestrians wandering the traversable areas. Over the past decade we have been developing systems for animating data-driven, purposeful, functional individual agents. Multiple aspects of human control are explored, including steering, navigation, auditory perceptions, and multi-domain planning. We developed open source software for Parameterized Behavior Trees, called ADAPT, which exploits “smart events” and an event planner to inform and commandeer agents for tasks that require their attention and participation. These concepts lead to narrative structures that give flow and meaning to urban settings and activities. 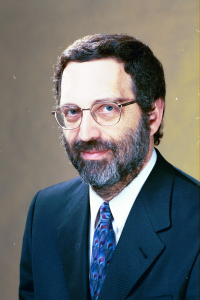 Bio: Norman I. Badler is the Rachleff Professor of Computer and Information Science at the University of Pennsylvania. He has been on that faculty since 1974. Active in computer graphics since 1968 with more than 250 technical papers, his research involves developing software to acquire, simulate, animate and control 3D computer graphics human body, face, gesture, locomotion, and manual task motions, both individually and for heterogeneous groups. Badler received the BA degree in Creative Studies Mathematics from the University of California at Santa Barbara in 1970, the MSc in Mathematics in 1971, and the Ph.D. in Computer Science in 1975, both from the University of Toronto. He directs the SIG Center for Computer Graphics and its two associated research components: ViDi, the Center for Digital Visualization, and HMS, the Center for Human Modeling and Simulation. 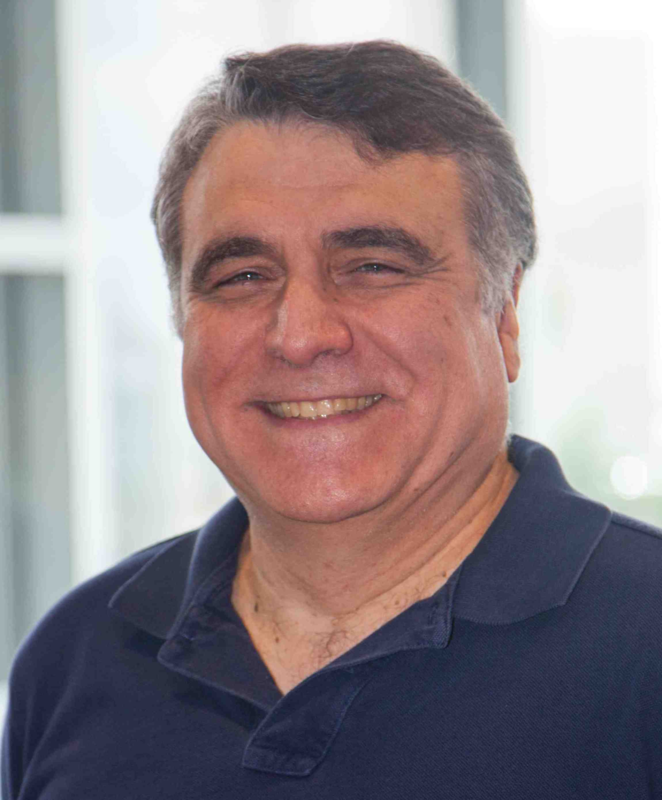 Badler is the Founder and Director of the Digital Media Design BSE undergraduate program. 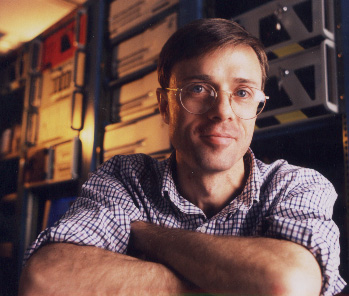 He was the Cecilia Fitler Moore Department Chair of Computer and Information Science from 1990 to 1994, and during 2001 to 2005 he was the Associate Dean of the School of Engineering and Applied Science at Penn. Abstract: As robotic systems are moving from well controlled environments to unstructured environments, they are required to operate in highly dynamic and cluttered scenes. Finding an object, estimating its 6-DOF pose, and tracking the pose over time in these scenes are challenging problems. Although various approaches have tackled these problems for the last several decades, a lot of challenges have not been actively addressed and thus remained as unsolved. In this talk we will addresses three of remaining challenges: clutter in background, handling both textured and textureless objects, and object discontinuities during tracking. Given a priori 3D object models, our approach exploit both photometric and geometric features available from the objects to increase the robustness with respect to background clutter, to recognize both textured and textureless objects, and to resolve the issue of object discontinuities in the midst of tracking. Our has considered use of a 2D monocular camera and a 3D RGB-D camera. Various visual object pose estimation and tracking examples will be shown with applications in robotics. Bio: Henrik I Christensen is the KUKA chair of robotics and the executive director of the Institute for Robotics and Intelligent Machines at Georgia Institute of Technology. Dr. Christensen received his education in Denmark and has since then held faculty positions in Denmark, Sweden and USA. His research covers computer vision, artificial intelligence and robotics. Dr. Christensen has published more than 300 contributions and serves on 6 editorial boards. He is the editor in chief of Trends and Foundations in Robotics. Dr. Christensen is a fellow of IEEE and AAAS. He was awarded the Joe Engelberger Award 2011, the most widely recognized award from the robotics industry and was named Boeing Supplier of the Year 2012. 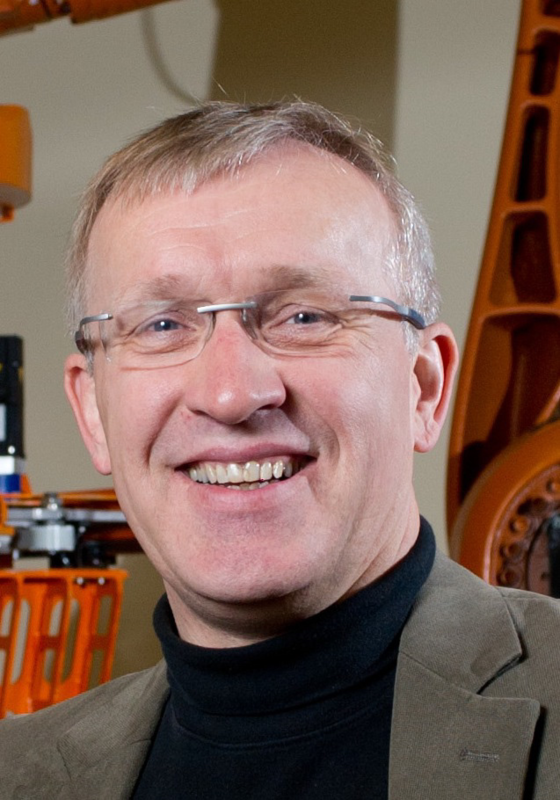 Dr. Christensen was the editor of the US National Robotics Roadmap 2009 and 2013. This series and all its events are sponsored by the Centre for Innovation in Computing at Lassonde (IC@L), an ORU within the Lassonde School of Engineering. The Centre is grateful for the support of Lassonde Dean Janusz Kozinski and VPRI Robert Hache.